Retractable Wire can be broadly used for point of retail product positioning, purchase security, wire harness positioning in electronic equipment, equipment counterbalancing, signage support, and product or parts feeding. 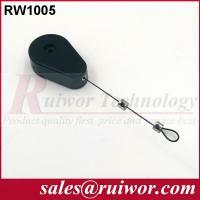 For example, Retractable Wire can be used in supermarkets, such as Wal-Mart Electronic products display and some other daily products display. 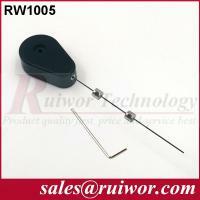 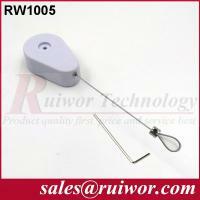 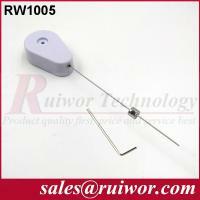 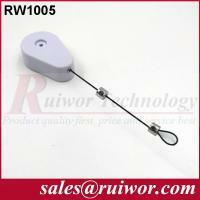 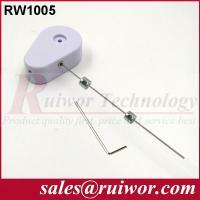 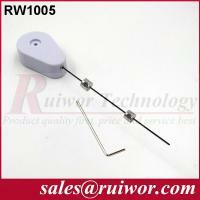 Retractable Wire Supply Ability: 80000 pcs per week, production capacity can raise for urgent order. 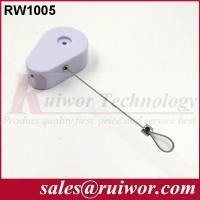 Retractable Wire Materials: Box is made of ABS plastic, with retractable spring built inside and stainless steel cable winding onto the reel inside. If you don't know which is the right Retractable Wire for Curtain for you, Could you please let ruiwor know more details about the Retractable Wire for Curtain of your need? then we will recommend the right porduct to you within 24 hours.